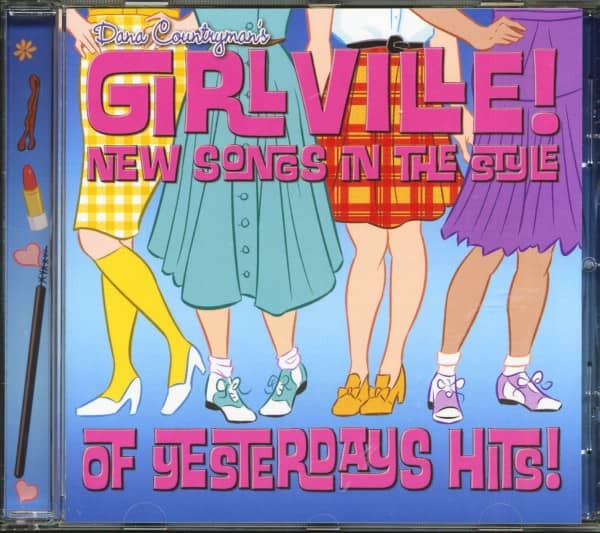 (Teensville Records) 19 Tracks - Songwriter - Producer Dana Countryman has written and recorded three albums of his particular brand of retro-pop over the past three years, but his “Girlville” album is a little different. Having studied the work of the classic Brill Building songwriters, he decided to challenge himself to write brand new songs that sound like they would have fit in with the “girl group” hits of the early '60s. 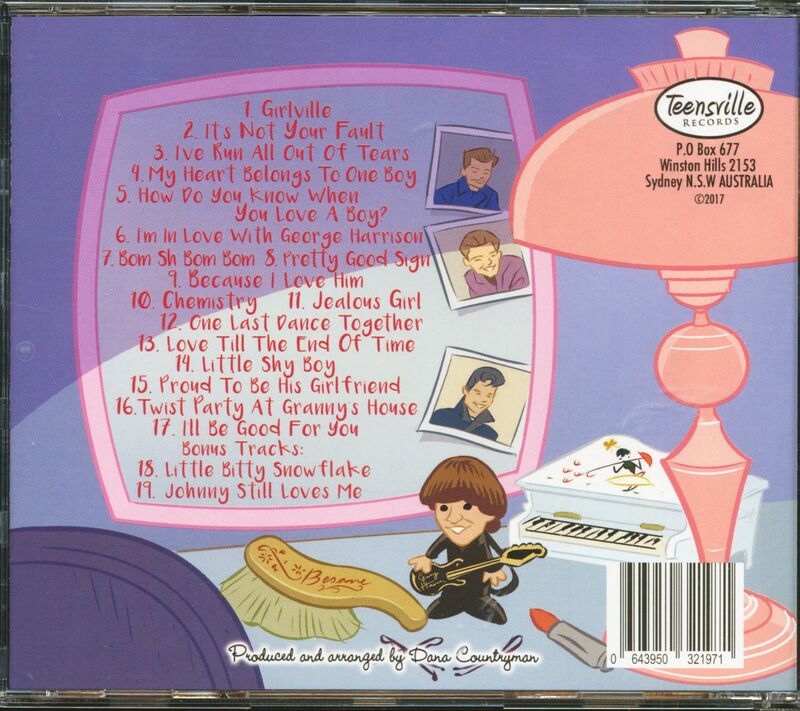 With the help of two collaborators, Frank M. Young, and Frank Buttgereit, Countryman wrote 19 songs from the point of view of a 16-year old girl, living back in the early '60s. 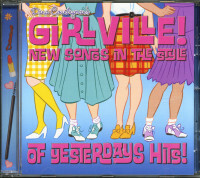 The job of bringing the songs of “Girlville” to life, went to carefully selected female lead vocalists including Lisa Mychols, Molly Felder, Kathy Hettel, Tricia Countryman, Julie Johnson Sand, Andrea Perrey, Kelly Harland and Lisa Jenio. Customer evaluation for "Dana Countryman's Girlville - New Songs In The Style Of Yesterdays Hits (CD)"